From the moment you breathe the fresh country air you will begin to relax and unwind. Black Cat Cottage and Trufferie is on 20 peaceful acres, 6 minutes from Creswick. Come, stay and share in the picturesque views of Creswick forest and our 1000 tree trufferie. Black Cat Cottage is an early 1900s weatherboard and mudbrick cottage that has been extensively renovated with modern conveniences for a relaxing stay. Bedrooms contain a queen size and 2 x single beds, quality linen and electric blankets, Black Cat Cottage provides fully self contained farm stay accommodation sleeping up to 4 people. The cottage features a cosy wood fire and large country kitchen with french doors leading out to the gardens and petanque area. Stroll around the gardens, nibble on fruit and veggies in our French style vegetable garden or visit the chooks. Our two farm dogs Ella and Harry would love to walk and play with you. In summer there is a 10 metre heated salt water pool for you to relax by, or enjoy a game of petanque with a glass of wine under the 100 year old Cypress trees. In winter joins us for a truffle hunt while we explain the mysteries of this intoxicating french delicacy, or curl up by the wood fire with a good book or enjoy a range of DVD’s and games. The owners are on-site but out-of-sight while they attend to the daily running of the farm and trufferie. If you venture out to discover what the region has to offer you will not be disappointed. Creswick is a beautiful little town with its own French patisserie, cheesery and Forest Resort championship golf course. You may wish to explore the many walking tracks or you may like to visit The Tangled Maze and mini golf. Daylesford is only a 25 minute drive through picturesque countryside with cafe’s, bric a brac and antique shops. Maybe stop and have lunch on the Daylesford Lake and burn off those calories with a paddle boat ride on the lake. Ballarat is only 12 minutes away, full of cafe’s and shopping, Stroll around the beautiful lake or visit the spectacular Sovereign Hill. There is also the Ballarat Fine Arts Gallery and the Ballarat Botanical Gardens to enjoy. Why not make Black Cat Cottage your base for day trips? We only stayed 2 hot summer nights at this quaint but well appointed cottage but were very comfortable and pleased we had made the decision to stay out of Ballarat. The kitchen is huge and contains all the utensils and basic foods required if you wish to self cater. The bedroom linen and bathroom towels were immaculate. We loved the fresh air and big sky and were welcomed, very enthusiastically, by the two farm dogs. We would happily return next time we are in the area. We are repeat guests and love everything about this property and its wonderful hosts. Such a nice spot, wonderful hosts and love the truffles! But the truffle dogs are the real stars!! My 3rd visit to the really good B&B. Love everything about it! Do yourselves a favor and check it out for yourself. 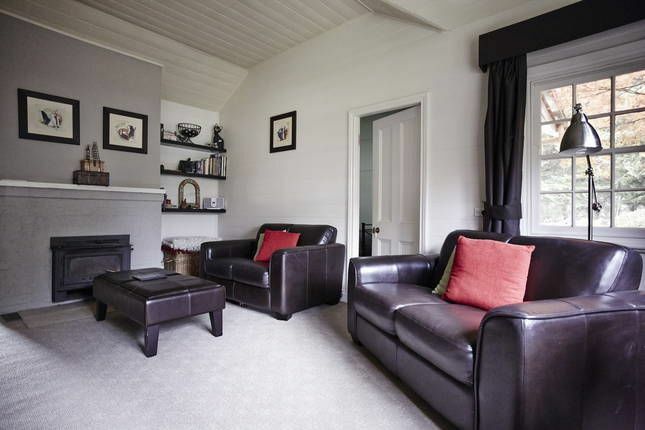 The cottage is well looked after and very comfortable. The kitchen has everything you need for your stay. the hosts are very nice and accommodating. After a very stressful and emotional week we had a very relaxing stay at Black Cat which was extremely comfortable and everything we possibly needed. From the moment you arrive and take in the surroundings, the beautiful gardens and cottage you feel relaxed and at ease. We had a beautiful stay, it was perfect for our little family. Not only is the property wonderful but the hosts are just amazing. Very compassionate and hospitable. The cottage was very well presented and most importantly very clean. We highly recommend this getaway. Glad you enjoyed your time at Black Cat. Thankyou for leaving our cottage spotless.